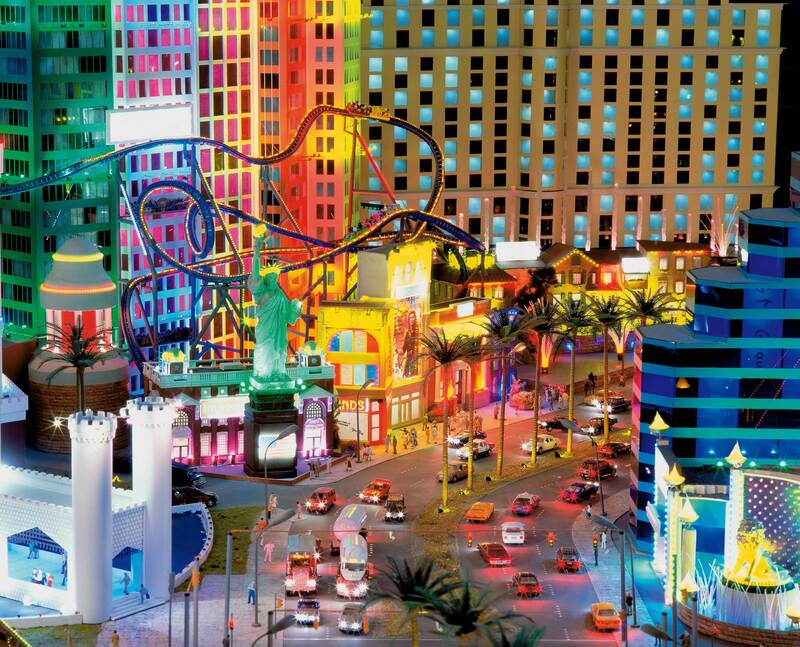 In Miniatur Wunderland the city of a thousand lights lives up to it's name. At night-time Las Vegas shines bright like a diamond. Being the largest city in the US state Nevada, Las Vegas is particularly famous for its large number of casinos. That’s the reason why we decided to build Las Vegas instead of New York or Hollywood in the USA section. We used about 33.000 LED bulbs to create a glittering light atmosphere, just like the one in real Las Vegas. This is the only city in Wunderland that requires a computer of its own for the control of the lights. The buildings are based on the originals, so that visitors can marvel at the casino hotels “Luxor”, “MGM”, “Treasure Island” (with its pirate show and the sinking ship) as well as “New York”, surrounded by a spectacular roller coaster. The Casino Royal located in the front helps to make visitors understand, why we needed 5 electricians and over one year of work for the soldering: It took them 6 weeks to solder the LED bulbs in this small building alone! You could easily knit an entire sock out of the fine enameled copper wires used here.